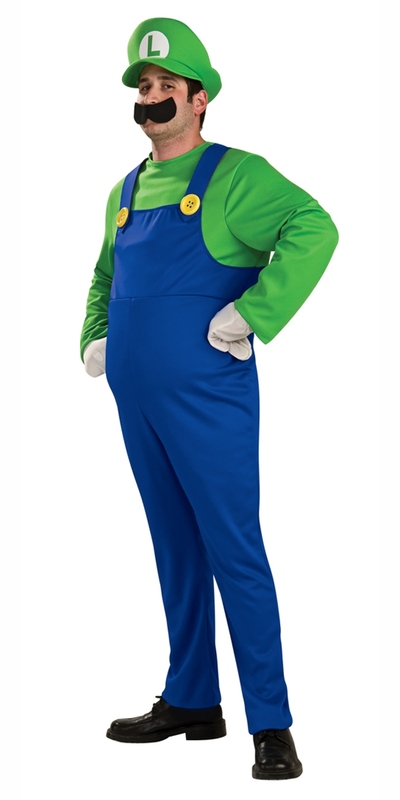 Size Choose Size Large 42-44" ChestMedium 38 -40"Small 36-38"
Transform yourself into the second most famous Italian plumber of all time with this deluxe officially licensed Luigi fancy dress costume. Included is a dark blue dungaree jumpsuit with attached long sleeved green T shirt, an inflatable stomach to give the illusion that you've been eating far too much italian food and a green peaked hat with Luigi "L" symbol to the front. Completing the costume is a pair of white gloves and a brown adhesive moustache. Perfect for any fancy dress party, especially one with a video game theme.